MAKING THE WORLD MORE COMPREHENSIBLE. ONE ACCENT AT A TIME. 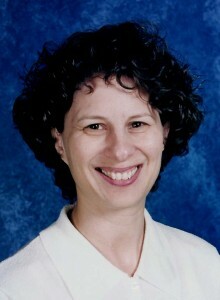 Haya Berman Hakim has clinical and teaching background in schools, clinics, colleges, and private practice. She founded the Speech Improvement Group in 2003. Haya has specialized accent modification training from Arthur Compton in Pronouncing English As A Second Language and from the late Sam Chwat in Accent Elimination for Speech Pathologists. She also works as a speech-language pathologist in Montgomery County Public Schools, Maryland. Despite her foreign-sounding name, Haya is a native of Chicago, Illinois. Montgomery County Public Schools, Maryland. Works as a speech-language pathologist in Montgomery County Public Schools. Worked formerly in District of Columbia Public Schools. Speech Improvement Group, Chevy Chase, Maryland. President/clinician in private practice, specializing in accent reduction and stuttering therapy.